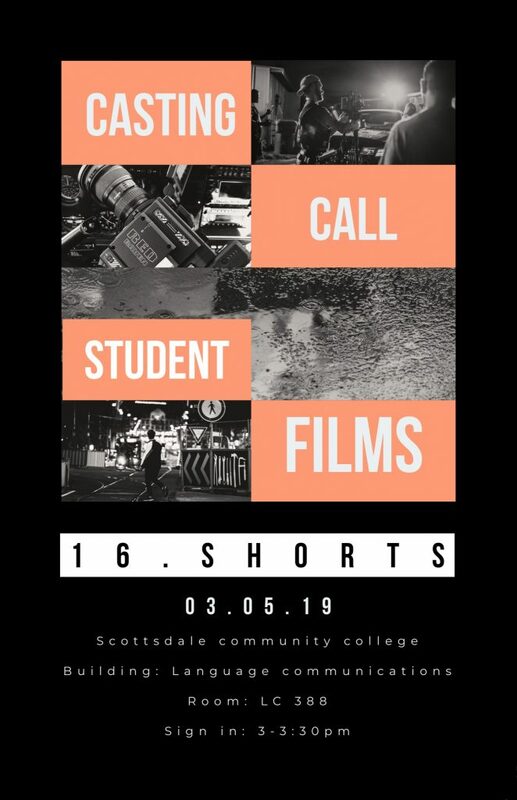 My film class at Scottsdale Community College is having an open audition on March 5th for anyone who is willing to work with upcoming filmmakers! If you’re interested, please contact Jennifer Alton at her email and arrive on time @ 3:00-3:30 pm. PLEASE BE ADVISED THAT WE’RE STILL STUDENTS LEARNING THE ROPES AND COMPENSATION IS NOT PROVIDED, but professionalism and taking these projects seriously is still expected.